Cork Heritage Open Day celebrates its 15th anniversary this year. This year it takes place on Saturday 18 August with 42 buildings and nearly 100 events and festivals happening. Last year it was estimated that there were over 18,000 visits to the buildings and events on the day. The event is organised by Cork City Council as part of National Heritage Week and the team works closely with building owners, local historians and communities who give their time free of charge. The success of the event lies with the people behind the buildings who open their doors willingly every year to allow the public a glimpse of the amazing and unique built heritage of Cork City. 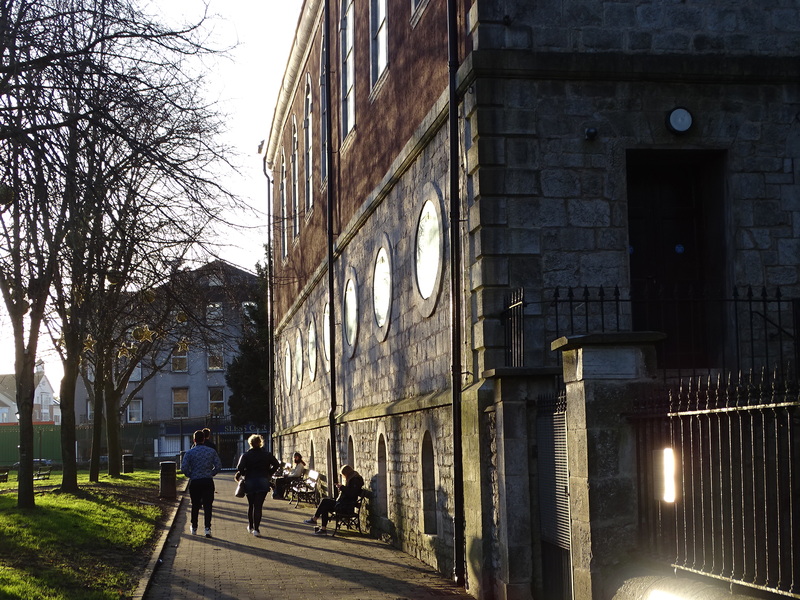 It is always a great opportunity to explore behind some of Cork’s grandest buildings. With the past of a port city, Cork architecture is varied and much is hidden amongst the city’s narrow streets and laneways. Much of its architecture is also inspired by international styles – the British style of artwork pervading in most cases– but it’s always pays to look up in Cork and marvel at the Amsterdamesque-style of our eighteenth-century structures on streets such as Oliver Plunkett Street or at the gorgeous tall spires of the city’s nineteenth-century churches. With 42 buildings open to the public for Cork Heritage Open Day it is almost impossible to visit them all in one day. It takes a few goes to get to them all and spend time appreciating their physical presence in our city but also the often-hidden context of why such buildings and their communities came together and their contribution to the modern day urban landscape of the city. The team behind the Open Day do group the buildings into general themes, Steps and Steeples, Customs and Commerce, Medieval to Modern, Saints and Scholars and Life and Learning – one can walk the five trails to discover a number of buildings within these general themes. These themes remind the participant to remember how our city spread from the marsh to the undulating hills surrounding it – how layered the city’s past is, how the city has been blessed to have many scholars contributing to its development and ambition in a variety of ways and how the way of life in Cork is intertwined with a strong sense of place. The trail Steps and Steeples is a very apt way to describe the topography of our city. The trail encompasses not only some of the amazing buildings on the northern hills of the city, but also some of the most spectacular views. Admire the interior of Everyman Palace on McCurtain Street, re-examine the crooked but limestone inspiring spire of Cork Trinity Presbyterian Church, gorge on the stained glass windows of St Luke’s Church, re-imagine past hospital treatment at the Ambassador Hotel, revel in how many barrels of beer have been exported from the former Murphy’s Brewery, now Heineken Ireland, reminisce of Cork’s North Infirmary at the Maldron Hotel, attempt to count how many barrels of butter were weighed at the Firkin Crane, ring the bells of St Anne’s Church, Shandon. At Collins Barracks read up about the military history underlining the city’s and harbour’s development. The military museum at the Barracks has three themes – the history of the Barracks, Michael Collins and Peacekeeping. The core collection consists of memorabilia associated with Michael Collins and also has displays from donated private collections. The Heritage Day brochure remarks that the Barracks building is a fine example of Georgian Architecture. It is also significant from a historic perspective. The fine limestone gateway has been the focal point of historic events in Ireland since the time of the Crimean War in 1856 with the return of the seventeen Lancers after the Battle of Balaclava. It was the location for the handing over of the Barracks from the British Government to Commandant Sean Murray of the Irish Army in 1922, and was visited by President Kennedy in 1963. Meanwhile down by the river, the Customs and Commerce walk follows the Lee and showcases some of the old and new commercial buildings in the city. These buildings track the commercial history of Cork City and highlight its many industries over time. For the more energetic walker this route can be combined with the Medieval to Modern walking route. Think highly of the multiple stories of the city’s masons and carpenters at the Carpenter’s Hall; feel the energy of the steam ships in the maritime paintings in the city’s Custom House, and look at the fine details on the pillars within AIB Bank on the South Mall. Learn about local government in the City Hall. 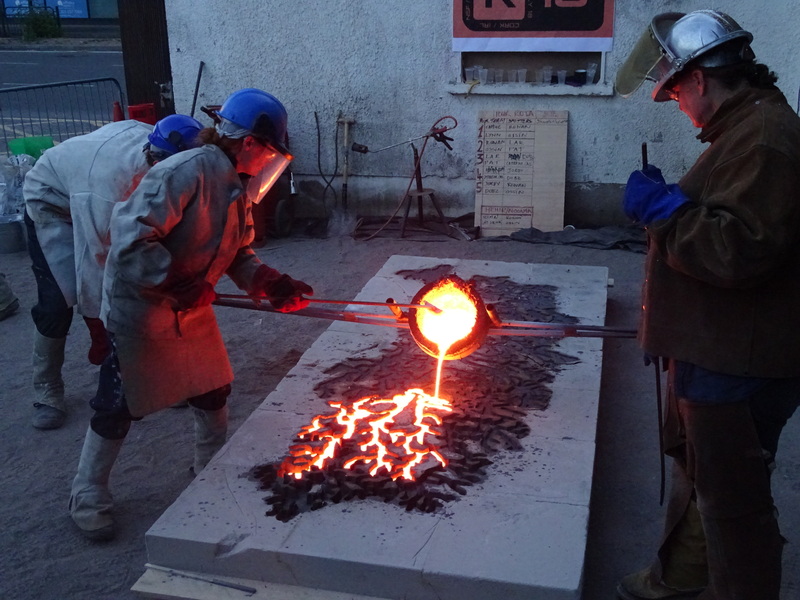 Re-imagine the turning of the wheels of the trams at the National Sculpture Factory. The National Sculpture Factory, set up in 1989 is a thriving artists resource facility, where artists are working on many creative projects. It is a significant national resource and is primarily funded by the Arts Council and Cork City Council. One hundred years ago, the National Sculpture Factory was once the central hub for electric trams whose trackways created arteries through a bustling city of contrasts from slums to richly embellished Victorian terraces in the city’s middle-class suburbs. The site was also the electricity distribution centre, which changed the way of life for citizens. The trams supplied a rhythm through the city – their stopping, going and wining- the iron wheels pushing into the tracks moving through the city, connecting citizens.